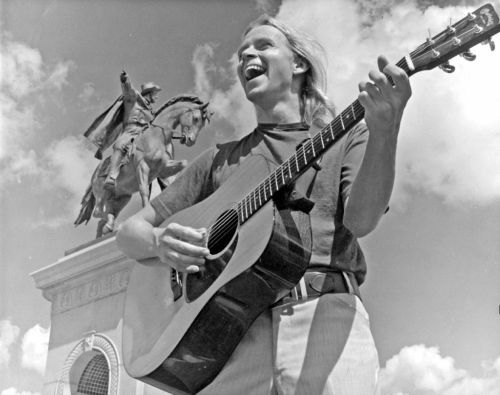 Don Sanders sings in front of the Sam Houston statue at Hermann Park in 70s Houston. Don Sanders was a central figure in the early Houston folk scene, playing all the landmark venues — from Anderson Fair, Sand Mountain, the Old Quarter, and Liberty Hall to Austin’s Armadillo World Headquarters and the Kerrville Folk Festival. He has shared the stage with Lyle Lovett (who considers him an important influence), Nanci Griffith, Pete Seeger, Arlo Guthrie, Lightin’ Hopkins, Guy Clark, Townes Van Zandt, and Janis Joplin. He performed at countless peace rallies, benefits, progressive political events, and street concerts in Houston’s Montrose. Some of Don’s later work was inspired by Spanish folk tales, by the nueva trova movement that originated in Cuba, and by Latin American social justice issues, and he has written and sung in both Spanish and English. 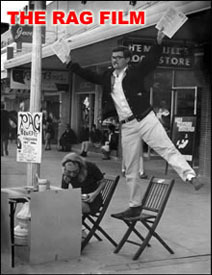 Don was featured in For the Sake of the Song, the critically acclaimed documentary film about Anderson Fair, Houston’s venerable acoustic venue that served as an incubator for such talent as Townes Van Zandt, Guy Clark, Nanci Griffith, Lucinda Williams, Robert Earl Keen, Steven Fromholz, and Lyle Lovett. 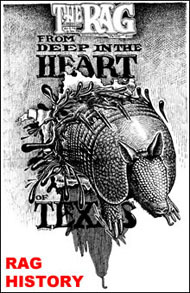 Many of those historic songs (some of which were mentioned above) have been released on a new CD titled Heavy Word User“> which came out during the Kerrville Folk Festival. It is available at YourTexasMusic and recently was accepted by Pandora into the Music Genome Project. 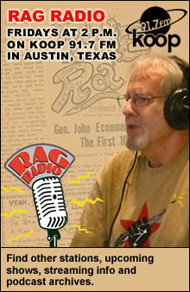 Don Sanders dicusses his career and sings several songs on this episode of Rag Radio. 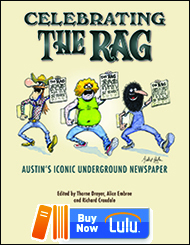 Rag Radio — hosted and produced by Rag Blog editor Thorne Dreyer — is broadcast every Friday from 2-3 p.m. (CDT) on KOOP 91.7-FM in Austin, and streamed live on the web. KOOP is a cooperatively-run community radio station in Austin. Rag Radio, which has been aired since September 2009, features hour-long in-depth interviews and discussion about issues of progressive politics, culture, and history. After broadcast, all episodes are posted as podcasts and can be downloaded at the Internet Archive. Tracey Schulz is the show’s engineer and co-producer. Rag Radio is also rebroadcast on Sundays at 10 a.m. (Eastern) on WFTE, 90.3-FM in Mt. 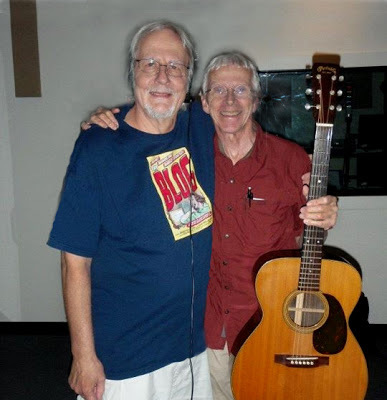 Cobb, PA, and 105.7-FM in Scranton, PA.
Houston singer/songwriter and storyteller Don Sanders (right) with Rag Radio host Thorne Dreyer at the KOOP studios in Austin. Photo by Tracey Schulz / Rag Radio / The Rag Blog. This entry was posted in RagBlog and tagged Don Sanders, Folksingers, Houston Music Scene, Musicians, Rag Radio, Singer-Songwriters, The Rag Blog, Thorne Dreyer. Bookmark the permalink.